Safety relief valve LK 514 ½"/ 15 mm. Male thread. Opening pressure 0,15 MPa. Discharge capacity 31 l/min. 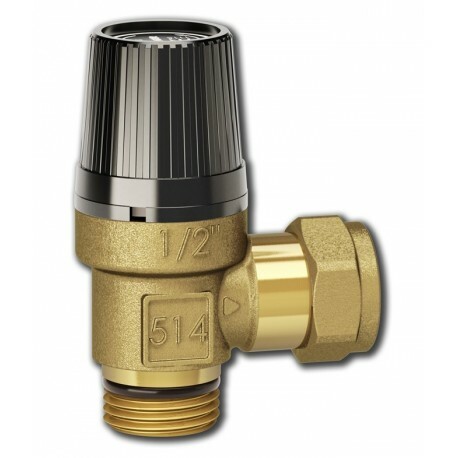 LK 514 MultiSafe is a high lift, soft sealing safety relief valve for tap water installations as well as heating, recycling and cooling systems with thermal expansion only. We don't sell the LK Armatur products to outside of Estonia! The valve must not be used for steam. The outlet is fitted with compression fitting for simple installation of a discharge pipe.